Paul Biencourt has studied voice with Robert Bicknell, David Rogers-Smith, Will Conyers, Adrian Hall and Amanda Colliver and currently studies with Gary May. He has participated in the MTWEST/WAAPA WINTER SCHOOL, the NIDA WINTERSCHOOL and is a graduate of the NATIONAL THEATRE SCHOOL in Melbourne. He made his operatic debut alternating in the roles of Don Basilio and Curzio in MELBOURNE OPERA‘s 2008 Melbourne and regional touring production of THE MARRIAGE OF FIGARO. During the same year, his first engagement with VICTORIAN OPERA was as the understudy for the roles of Tweedledee, Violet & The White King in the company’s world-premiere season of THROUGH THE LOOKING GLASS. 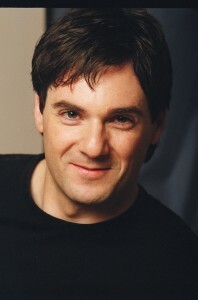 This led on to further engagements during 2009 with VICTORIAN OPERA, singing the role of Brighella in the company’s season of Richard Strauss’ ARIADNE AUF NAXOS, appearing as Mick Davoren in the company’s workshop production of Sarah de Jong’s THE COCKATOOS, and performing the suite of all-six tenor roles in its season of REMBRANDT’S WIFE, of which THE AGE wrote, Paul Biencourt performed a half-dozen roles… clearly and pointedly defining each one…, while the German OPERNWELT said of his work, The tenor, Paul Biencourt…impressive talent and vocal self-confidence. On the musical theatre stage Paul Biencourt has gained an extensive experience since his first professional engagement to appear as Noel Weiderberg in The Delltones in the JACOBSEN ENTERTAINMENT GROUP‘s production of SHOUT-THE MUSICAL in 2001. In 2003 he appeared as Riff Raff in TRILBY PRODUCTIONS‘ London season of THE ROCKY HORROR PICTURE SHOW and since 2002 he has been engaged by THE PRODUCTION COMPANY for eight seasons, playing Constable Locke in THE MUSIC MAN in 2002, singing the Tenor in the Cowboy Trio and other roles in ANNIE GET YOUR GUN during 2004, the Tenor in the Shakespeare Trio in KISS ME KATE and the Finance Man in SUNSET BOULEVARD both during 2005, the Scottish Tenor in CAMELOT and the role of George Gershwin in THOROUGHLY MODERN MILLIE in 2006, the Maitre’d, the Doctor and the Judge in LITTLE ME in 2007 and the role of Rocky in DAMN YANKEES during 2008. On the concert platform he appeared as soloist in the MELBOURNE HATS OFF CONCERT during 2007 and was engaged for the CITY OF STONNINGTON‘s CHRISTMAS IN STONNINGTON concerts and OPERA IN THE PARK in 2007 and 2008. He was guest soloist in the ROYAL MELBOURNE PHILHARMONIC SOCIETY‘s Christmas concert at ST PAUL’S CATHEDRAL in 2009. During 2010 Paul Biencourt was engaged by OPERA AUSTRALIA for the role of Harry in the company’s Sydney season of LA FANCIULLA DEL WEST and appeared as The Italian in VICTORIAN OPERA‘s production of Ibert’s ANGELIQUE. He also sang the role of Goro in MELBOURNE OPERA‘s season of Puccini’s MADAM BUTTERFLY. His 2010 concert appearances included Handel’s MESSIAH for MELBOURNE OPERA and CAMBERWELL CHORALE and corporate events for OPERA AUSTRALIA. During 2011 he appeared as Tmolus in JS Bach’s DER STREIT ZWISCHEN PHEOBUS UND PAN for VICTORIAN OPERA and, for MELBOURNE OPERA, sang the roles of St. Brioche in THE MERRY WIDOW and Remendado in CARMEN, performances of both roles he continued in 2012. 2012 also included his debuts in the role of Rodolfo in LA BOHEME and Ferrando in COSI FAN TUTTE, both for MELBOURNE OPERA the latter of the two roles continuing in the company’s regional touring season during 2013. Of his performances in LA BOHEME, AUSTRALIA STAGE wrote, Biencourt is riveting in Rodolfo’s more powerful, heart-strung solos… Its his rich voice that truly wrings the heartstrings of the audience. Also during 2013 he sang the lead tenor role of Pylades in LYRIC OPERA OF MELBOURNE‘s season of Gluck’s IPHIGENIE EN TAURIDE and appeared as Goro in MELBOURNE OPERA‘s 2014 season of MADAM BUTTERFLY. Engagements during 2016 included Pedrillo in Mozart’s THE ABDUCTION FROM SERAGLIO, again for MELBOURNE OPERA. His concert appearances included MESSIAH both for MELBOURNE OPERA and the ESSENDON CHORAL SOCIETY. During 2017 he returned to MELBOURNE OPERA for the role of Ralph Rackstraw in HMS PINAFORE, performances of which THE HERALD SUN wrote, …Biencourt was the other standout… a deeply impassioned performance and a treasure chest of vocal riches., while WWW.CONCERTONET.COM said, …superbly strong in both dialogue and music… accomplished stage presence… commendable performance. Biencourt… producing a crystalline brightness in his solos and an assured contribution to the ensemble pieces., and STAGE WHISPERS wrote, … Biencourt displayed a clean tenor and found many more comic moments than I expected from a romantic lead. 2017 also included roles in MELBOURNE OPERA‘s season of LOHENGRIN and VICTORIAN OPERA‘s CUNNING LITTLE VIXEN. His 2018 appearances include the role of Rudolfe in VICTORIAN OPERA‘s season of Rossini’s WILLIAM TELL and, for MELBOURNE OPERA, the Animal Trainer and Major Domo in DER ROSENKAVALIER and Lucio in Rossini’s OTELLO. 2018 concerts include CARMINA BURANA for the HEIDELBERG CHORAL SOCIETY.